Awesome as long as it lasts, which regretfully isn't nearly long enough. Excellent characterization cut short before it's finished. In the 22nd century man has expanded out from Earth, establishing colonies as far out as the Antilla colony orbiting Jupiter. The inhabitants of the Antilla colony and others living at the end of the solar system are referred to as "Enders" by those occupying the inner regions of Mars and Earth--a word with connotations similar to "country bumpkin." But when an attack force of orbital frames from the independent military faction Bahram attacks the Antilla colony, a young Ender called Leo Stenbuck is thrust into the melee. After witnessing the deaths of his friends at the hands of a giant red frame, Leo stumbles upon a prototype frame called Jehuty. The onboard computer ADA explains that Jehuty is the reason why Antilla has been attacked, and Leo must deliver it to the transport ship Atlantis waiting to deliver it for use on Mars. As they struggle to get to the Atlantis, Leo and Jehuty must battle through hundreds of enemies and save the colony--home to thousands of innocents--from annihilation. Along the way, ADA must teach Leo the skills he will need to become a competent frame runner and complete his mission, and Leo must strive to teach ADA about humanity--respect for life, love and sacrifice. 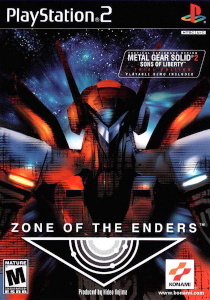 When it was first released on the PlayStation 2, Hideo Kojima's Zone of the Enders served two purposes. The first was to showcase the graphical power of the PS2 in a furiously fast mecha action game. The second was to accompany the demo disc of the upcoming Metal Gear Solid 2, which as many people bought it for as the actual game. But the game itself was not entirely overlooked and with good reason, because Zone of the Enders kicks some serious metal. Since ZoE was meant to showcase the power of the PS2 you'd expect it to look like the real business. That's stating it mildly. ZoE is absolutely gorgeous. The difference between FMV cut scenes and the in-game graphics is almost unnoticeable and this isn't because of any problems with the FMV either. The graphics are extremely fluid with absolutely no slowdown or pixillation, no matter how furious the action gets and everything--Jehuty, the enemy frames, the backgrounds--are all wonderfully detailed. The light effects from the weapons and the explosions polish off one of the most visually impressive games I've ever played. The cut scenes which tell the story are all done with CG rather than anime to keep the look consistent between cut scene and in-game and frankly even I wouldn't have it any other way. The character designs may be a little simple, but they're mostly attractive and well crafted. The sound is also excellent with various distinctive weapon noises, loud explosions, quality voice-acting, pulse-racing combat music and some beautiful themes in the quieter scenes, including some wonderful vocal work in the opening and the ending credits. To round up the technical side of things, the control in Zone of the Enders in generally excellent. Jehuty responds swiftly and precisely to your commands and the control layout is well thought out and works perfectly. The only real problems are with the camera--because of the absolutely insane pace of the action in the game the camera sometimes gets a little awkward. And in versus mode the camera is nearly impossible, since it doesn't center on either of the two combatants, which sometimes results in it being hard to judge your relative position or even not being able to see anything at all. But that was the best way to do it since split screen would certainly have caused graphical problems and it certainly looks cool. The only other control issue I had was that sometimes I had difficulty boosting in the direction I wanted, especially while attacking--when I try to boost backwards and fire a starburst shot, I end up still in combat range and darting forward in a dash attack again. But these are minor shortcomings. ZoE was a game which needed precise control to make it even playable and that's exactly what it got. The gameplay in ZoE is pure mecha bliss. Piloting the powerful prototype orbital frame, your mission is to smash your way through hordes of enemy frames and carry out objectives necessary to clear the path between you and your final destination. Action is all air-based and is as fast and furious as action comes anywhere. You can move freely in all three dimensions and can turn up the speed with a tap of the boost button. Combat controls are very simple--one button is used for basic attacks and the other for special weapons (as well as grab and throw). Your attacks are context-sensitive--if in close combat range pressing the attack button will make you unleash a 4-hit slash combo, a fast dash attack, or charge a devastating and unblockable spinning slash. At range, you will fire a 3-shot burst, unleash a homing starburst, or create an enormous energy ball, all depending on whether you are moving normally, dashing or charging energy. The other button allows you to use one of Jehuty's numerous secondary weapons at range, or if in close combat makes you grab and throw your opponent. Thanks to the boost the battles usually move almost as fast as the human eye can follow, especially when you're outnumbered, and are absolutely thrilling fun, while the three giant boss fights (not the ones against Neith) will require a much finer level of strategy and insane evasive skills. As you destroy your enemies you gain experience which will eventually increase your level. This addition to the game seems fairly pointless since, not only does your level seem to make little noticeable difference to your fighting capabilities, but the level cap is a ridiculous level 8. However, enemies also level up as the game proceeds, increasing their skills, improving their AI, becoming more aggressive and learning new and powerful attacks. There are some problems, with the game rewarding button-bashing on lower difficulty levels and some of the secondary weapons are unbalanced (the Phalanx, Geyser and Halberd are as good as useless, while the Gauntlet and Comet are overpowered) but in general the game and battle system works well. Outside of combat, you spend your time flying around the numerous residential and industrial areas of the colony carrying out your objectives. Controls are almost the same as in combat, although Jehuty doesn't handle quite as nimbly as when in combat mode, which you drop into whenever you encounter an enemy group. You can flee encounters as easily as releasing the combat target lock and running for a set time. The areas are disappointingly small, resulting in you constantly running up against the invisible barrier at the edge, and do not play a major part in either battle or exploration, especially since you are supposed to avoid damaging them in battle. Missions are quite creative, much more original than "destroy all enemies" and are always tied to achieving your ultimate objective. Objectives often involve updating Jehuty with new systems allowing you to do things like see through cloaking devices and release a decoy illusion, but these don't actually change the way you play much. The only time you have to destroy all enemies in a mission (you can avoid them or fight as you wish) is when you are on a "protect survivors" mission. These are bonus missions where you must destroy all the enemies attacking a zone while protecting specific buildings containing people who have not taken shelter yet. Some of these are very difficult as when they are not engaged in combat with you the enemy will fly around destroying everything they can reach and during combat you have to be wary of collateral damage. At the end of the mission you will be ranked by the percentage of damaged buildings and the number of casualties. All but one of these missions are optional, but the ranking you get for them makes up a large part of your final score, so the challenge is worth taking. Between areas you fly around in the Antillia airspace. There is no action up there, where it functions as the hub where you receive most of your mission briefings and fly between zones, but getting around is fairly easy. The plot of Zone of the Enders was, for me at least, one of the main drawcards of the game. The awesome opening FMV pitched you right in there with Leo as he is hurled into a desperate battle which he would do anything to avoid being caught in. The story is very engaging, not because of complex plot twists or startling large scale revelations, but because of the extremely impressive character interaction and development on the small scale. This isn't a battle to save the universe--Leo is fighting so that he and Celvice Klein (a girl he rescues early in the story) can survive and complete the simple mission posed to him--deliver the weapon he has come into possession of to where it is needed, although the stakes are raised a fair bit over the course of the game. Leo is a classic reluctant hero--he's only a child and a neglected one at that, but is thrown into an adults' war with a hugely powerful weapon which he doesn't want. If he seems whiney at first, he is only young and was witness to the horrific sight of his friends being killed, while he has to suffer the guilt from the knowledge that he may have been able to save them. His refusal to kill seems a little pathetic at first considering that almost all of the enemies you face over the course of the game are unmanned drones, but it adds more texture to his character and really comes out after boss battles. The second most important character in the game is surprisingly not Celvice, but ADA the computer. At first she and Leo are at odds, with ADA's heartless logic irritating Leo and Leo's illogical capriciousness confounding ADA. Throughout the course of the game ADA comes to understand such human traits as mercy or caring until she actually becomes Leo's friend and partner. The other notable character in the game is Leo's nemesis Viola, pilot of the red frame Neith. Viola is a strong and ruthless enemy, well written for more depth than she initially shows and possessed of an extremely nihilistic and driven personality, fueled by an eternal anger. You don't actually find out anything about her until the end--in fact you never "find out" much about her at all, but she has some dialogue which reveals a lot about her motivation and allows you to infer a few things about her story as well. Unfortunately, Celvice is the one character who I would describe as "neglected"--although she's supposed to be a very important character, she does and says very little over the course of the game. The game only has two other characters (not counting enemy boss pilots)--Elena Weinberg and the atrociously named Rock Thunderheart, but they are comparatively minor, with only one scene and some radio communication each. Despite this, they both display a marked depth of character which further power Zone of the Enders' character-driven plot. All the characters are brought to life by excellent English voice actors in one of the best dubs I've heard in a video game in quite some time. Special kudos go to the voices of ADA and Viola, but most of the cast is honestly very good. Leo's actor may annoy a few people initially, but as the game goes on he gets a better grip on the role and by the end he's giving a fine performance as well. Minor characters such as the bosses and Leo's friends (and that other undefined person from the beginning of the game) aren't anything particularly to write home about, but they don't grate on the ears and don't have much to say in any case, so it's no deal at all. Unfortunately, the worst problem with the story is also the worst problem with the entire game--it simply stops dead way too early. Admittedly the nature of the story rules out Leo's mission going on for days, but the startling suddenness of the ending and the lack of a real resolution in the game is more than just irritating, especially considering the nature of the final encounter. The game is quite obviously part of a much larger story, considering the huge amount of background information in the manual and the sequel is out by now, but I really can't say I was happy with the final plot twist. It provided a plausible reason why the game should end there, but it didn't really tie anything up and also I found it ended the game on something of a low note. (Fans will be pleased to know that both Jehuty and an older Leo return in ZoE 2: the Second Runner). 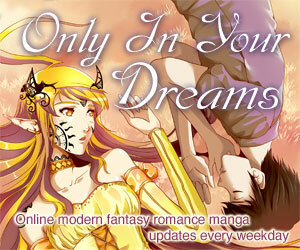 But even worse than the story being too short, the problem is that the game is too small. The first time I played, playing on normal difficulty, I cleared the game in only about 5 hours without a FAQ and I don't even know if that includes the time spent on the cut scenes. The isolated nature of the Antillia incident is even further emphasized by the appallingly low variety among enemies--apart from the bosses, there are only three types of enemy in the game: Raptors, Mummyheads and Cyclops. In fact, there are more types of boss than there are types of normal enemy! Also, your missions require you to revisit areas you've already been to before as often as they send you on to new ones--realistic, but a little boring. ZoE may have been an experiment, a demonstration of what the PS2 could do, but Konami should have made the game bigger. The game is also linear--although the rescue missions are mostly optional, everything else must be done in a precise order. Fortunately, the game has some replay value. At the end of the game you will be ranked on your performance. Initially there are 3 difficulty levels to choose from (Easy, Normal and Hard) and after you beat the game you unlock the Very Hard level. But even Hard level will keep you working for ages--although the game won't cause major problems on Normal, things are nearly twice as intense once you up the difficulty. Also upon completion of the game you unlock Versus mode, where you can either set yourself up in a one-on-one against the computer or play against a friend. Initially you can use Jehuty, Neith and the three different types of enemy frame, and completing the game a second time (even if it's with the same save file you used to finish it the first time) will unlock a further two frames to use. The power of the frames has been adjusted to balance them out on a "human level" so that Neith isn't the awesomely powerful boss it is in the game and the Raptor, Mummyhead and Cyclops can take and dish out the same kind of damage as Jehuty. However, you still probably won't find yourself using enemy frames except out of curiosity since they are still weaker than Jehuty or Neith. The aforementioned camera problems cause trouble, but they can be overcome. However, even versus mode doesn't drastically increase the replayability of this short game and the limited life of the game is definitely Zone of the Enders' biggest flaw. But overall, Zone of the Enders was an awe-inspiring game which completely rocked me for as long as it lasted and left me absolutely frantic to own a copy of ZoE 2: the Second Runner. Fans of blindingly furious mecha action need look nowhere else for their fix--jump in the cockpit and prepare for one hell of a ride. Violence: 2 - Low body count, but some notable points. Available in the US from Konami, for PS2 only. Zone of the Enders is under copyright of its owner. Any images are the property of their respective rightsholders, and included for review purposes only under the fair-use clause of US copyright law.